The result was announced after market hours yesterday, 31 January 2019. Meanwhile, the S&P BSE Sensex was up 106.13 points, or 0.29% to 36,362.82. On the BSE, 1.06 lakh shares were traded in the counter so far compared with average daily volumes of 2.95 lakh shares in the past two weeks.  The stock had hit a high of Rs 317.65 and a low of Rs 305.25 so far during the day. The stock hit a 52-week high of Rs 449.15 on 7 February 2018. The stock hit a 52-week low of Rs 277 on 22 October 2018. 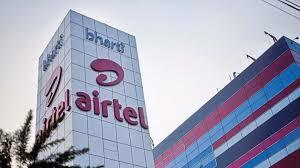 Bharti Airtel said its India revenues declined by 2.3% to Rs 14,768 crore in Q3 December 2018 over Q3 December 2017 on an underlying basis. Mobile revenues have witnessed a year-on-year (Y-o-Y) de-growth of 4.0% on an underlying basis primarily on account of the sustained pricing pressure in India mobile segment. Digital TV revenue witnessed a growth of 7.1% Y-o-Y and Airtel Business has witnessed a growth of 10.9% on an underlying basis. Mobile data traffic has almost tripled to 3,217 billion MBs in the quarter as compared to 1,106 billion MBs in the corresponding quarter last year. Mobile 4G data customers increased by 112% to 77.1 million from 36.4 million in the corresponding quarter last year. In constant currency (1 March 2018) terms, Africa revenues grew by 11.2% Y-o-Y led by strong growth in data and Airtel money transaction value. Consolidated EBITDA declined 16.9% to Rs 6,307 crore in Q3 December 2018 over Q3 December 2017. Consolidated EBITDA margin decreased to 30.7% in the quarter as compared to 37.3% in the corresponding quarter last year. In a statement, Gopal Vittal, MD and CEO, India & South Asia, said the company's simplified product portfolio and premium content partnerships have played out well during the quarter, translating into one of its highest ever 4G customers additions of 11 million+. The firm's mobile data volume continues to expand, with a YoY growth of 190%. The company has deployed 24K broadband sites during the quarter and remain committed to invest in capacities ahead of the demand curve and provide a superior customer experience. Effective this quarter, the firm has modified its customer base measurement to represent only transacting and revenue generating customers. In a statement, Raghunath Mandava, MD and CEO, Africa, said Airtel Africa's gross revenue grew by 11.2% on a Y-o-Y basis. Data traffic grew by 61%, Voice minutes increased by 25% and Airtel Money throughput grew by 29% on a Y-o-Y basis. Consequently, EBITDA margin has expanded by 1.7% Y-o-Y and stood at 37.2% for the quarter. The firm continues to further invest in strong LTE network to enhance customer experience and build a competitive advantage. Bharti Airtel is a leading global telecommunications company with operations in 18 countries across Asia and Africa.